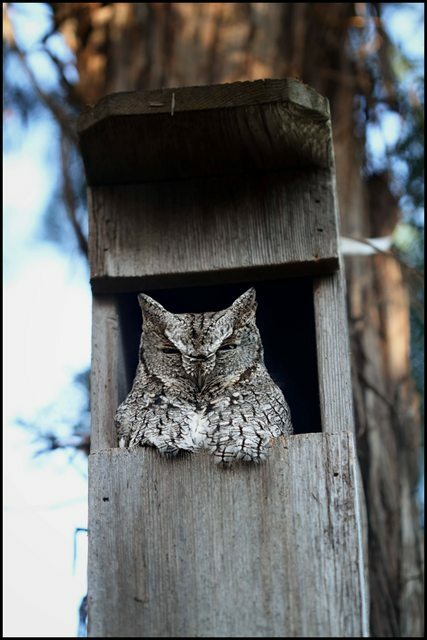 Last year I put up an owl house in our back yard [Screech Owl] and within a month or so we had a resident. Well, with the cold weather rolling in he has found his way back! Last year he didn't have a mate or fledglings but hopefully this year he will fair better. Really fun having him in the backyard nonetheless- like a little old man other than the fact that he stays up all night. That's wonderful, Kevin. If I didn't know any better, I'd think he was collecting tolls if you wanted to climb his tree. Great pictures Kevin, I love owls. I spotted a snowy owl last winter not far from home and last week my wife spotted a great horned owl flying low over the house. A big guy too, close to 5' wingspan. It was good to see them around as the rabbit population had gotten a little out of control, funny but I haven't seen more than 1 or 2 rabbits over the past month. That owl looked well fed. (12-05-2015, 11:20 PM)Marko Wrote: Great pictures Kevin, I love owls. I spotted a snowy owl last winter not far from home and last week my wife spotted a great horned owl flying low over the house. A big guy too, close to 5' wingspan. It was good to see them around as the rabbit population had gotten a little out of control, funny but I haven't seen more than 1 or 2 rabbits over the past month. That owl looked well fed. Poor Thumper! How could you?! man, that owl blends in great! if you were to look at it very quickly, it looks like a piece of bark!! Having him in the backyard is definitely a real hoot. Sorry. Marko, we get some horned owls in the back yard as well- they don't get on with the screech owls but still very cool to see them based on size. 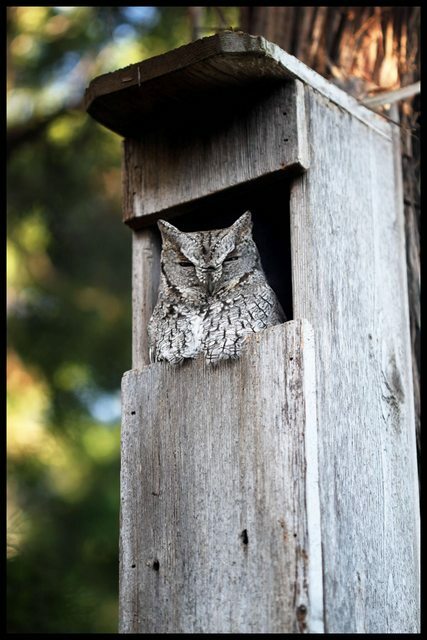 They give my wife the creeps although she thinks the screech owl is "cute". They do blend almost perfectly with the bark of the local live oaks- amazing! Yeah, the big owls are a little unnerving but still very cool. I think birds of prey look so regal.